This is very much a hot topic. 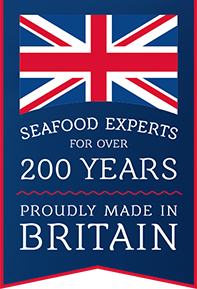 The best source of advice initially is normally your chosen seafood supplier as it will depend on their sourcing policy. At Young’s we understand how important it is to protect our environment and have therefore developed a specific award winning programme which focuses on protecting the key elements of our business; the fish and the sea. Through our Fish for Life Corporate Social Responsibility Programme we seek to improve our impact in everything we do, from sea to plate. We want to ensure that we are doing the right thing for our customers and for the planet, both now and for generations to come. Sustainable practices are the only way to safeguard the future of fish, which is why we work to understand every fish farm and fishery before using them in our supply chain. We also work proactively with fishermen and the industry to help improve long term sustainability. For example, one of our chosen partners, Alaska Seafood has carefully managed fisheries to protect against overfishing, habitat damage and pollution and is a leading model for science-based sustainable fisheries management.